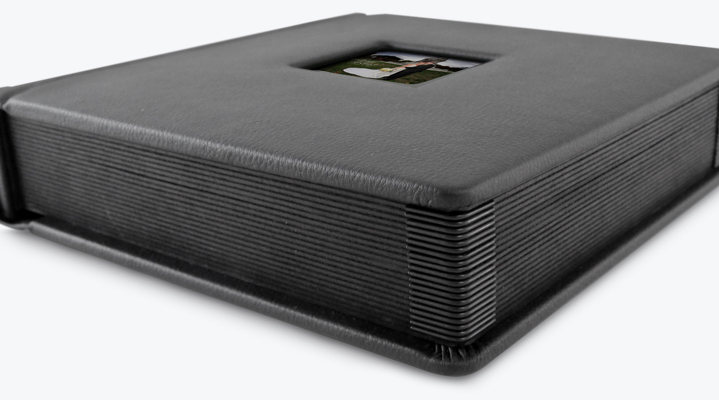 All albums feature black faux-leather covers and matte black pages with prints mounted 1/16 of an inch from the edge. 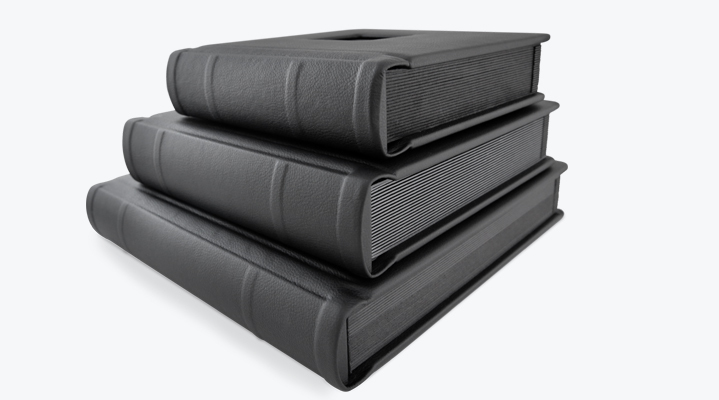 Machine Texturing (Canvas, Pebble, or Linen Weave) can be added to the pages. 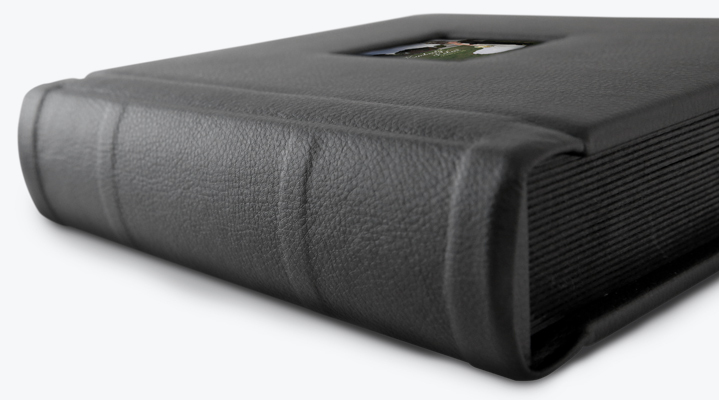 Superior Die-Cut Wallet Albums – Wallet prints are 2.5×3.5 with rounded, die-cut corners. 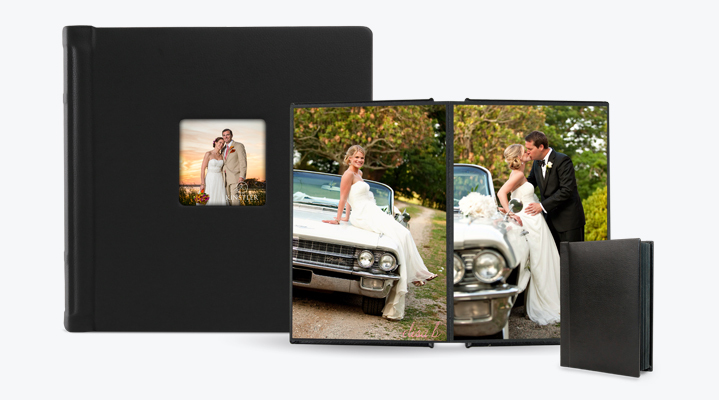 Deluxe Mini Albums – Available in 4×6, 5×5, and 5×7 sizes. 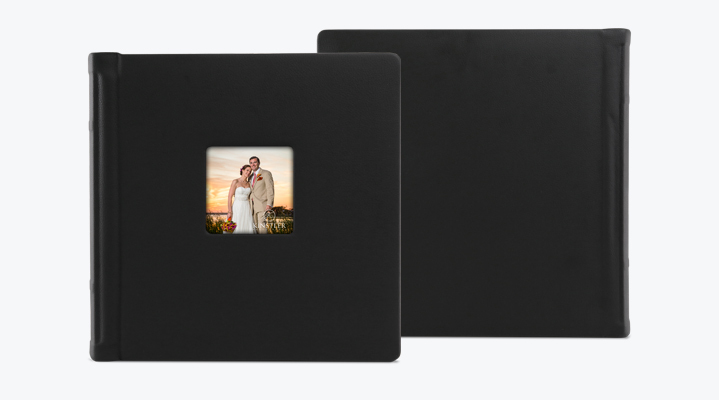 Ventura Albums – Available in 8×8, 10×10, and 12×12 sizes. 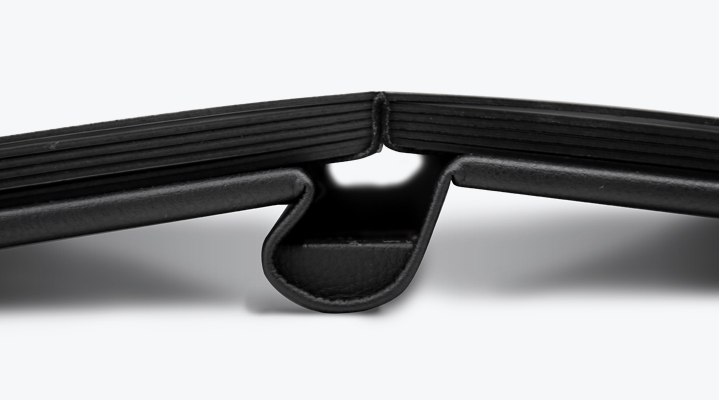 Covers feature square cameo window openings for customization. 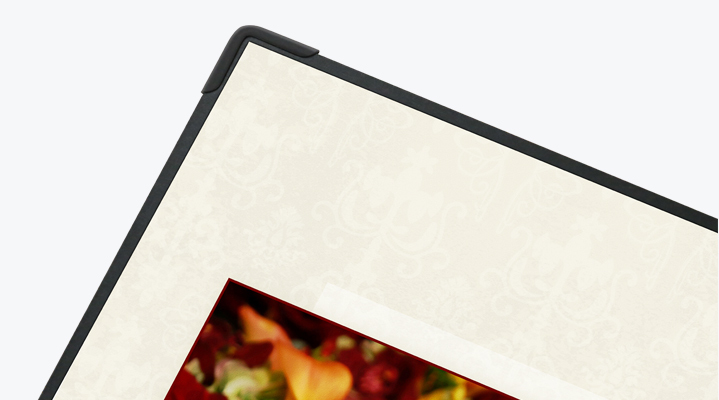 Ventura Album Cameo Cover Guide Templates- Click here for more information and to download our guide templates for these products.